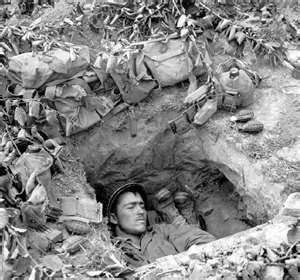 As we close in on Memorial day, my mind drifts to images to two soldiers dug into a fox hole sharing a lucky strike. One has a bit of a Bronxified Italian accent, the other has a the diction of a news reporter. They talk about the girls from back home they want to take to a drive-in picture show. For the moment there doesn’t seem to be any immediate danger of a Nazi soldier sneaking up on them even though you can hear the shells landing in the not-too-far-off distance. Later the conversation drifts to the Yankees and Joe DiMaggio. Neither one of them are old enough to buy a beer, but both enjoy another cigarette. Almost every ten years we go to war. Men and women die; we remain free. I don’t mean free as in, I’m not an in shackles free, but something much more than just that. I can wake up on Sunday and go to any kind of church I want. At the beginning of the work week, I can mop floors or study at the university of my choice. If I feel disenchanted with the government, I can voice my opinion at the top of my lungs, and go out to vote. I can blog about it, update my Facebook status, or shoot out a tweet. Bottom line, as long as I am not stepping on someone else’s rights, I can do just about any damn thing I like. These freedoms have been paid for with blood, someones son, daughter, husband, wife, grandson, lover, etc. There are no words to explain the gratitude, just an understanding of what it has taken to get here. The problem is that we are not holding up our end of the bargain. Soldiers have died on our behalf to uphold our freedoms and we are allowing a failing government to ruin what our forefathers intended us. Our nation has become bought and sold. Our lawmakers campaign and fundraise the vast majority of their political lives. While in office they fight for the people who put them there, their campaign donors. Our veterans and those that we have lost did not fight to protect the corporatocracy of USA, they are fighting for the U.S.A. and our democratic values we are slowly, but surely, losing. We owe it to them to research the people we vote for. A thirty-second commercial does nothing to tell you about a candidate. Look up their voting record. Write a letter to your local congressman or woman about the stupidity of campaign finance and existence of Super PACs. Do something to hold up our end of the deal we made with our sons, daughters, husbands, and mothers that fight for our rights!